Coming soon to West Cobb is the Kennesaw Marketplace! This is the mixed-use development anchored by Whole Foods. It is located at the corner of Cobb Pkwy & Barrett Pkwy, and is expected to open in 2 phases. The first phase opens this fall and the 2nd in the spring. 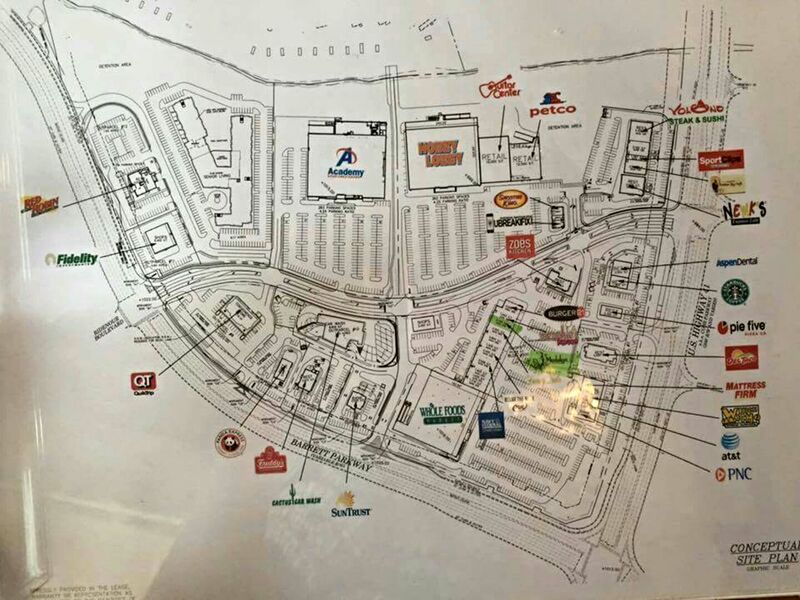 I just found out some of the other stores expected are Academy Sports, Hobby Lobby, Burger 21, Freddy’s Steakburgers, Newks Cafe, Smoothie King, Panda Express, Volcano Steak & Sushi, Which Wich, Zoe’s Kitchen, Mattress Firm, Petco, Menchies, PIE 5, Quick Trip, Sports Clips, Starbucks and more! This mixed-use development is expected to add up to 2000 jobs. Plus there will be a senior-living residential facility featuring 190 units. To help with traffic at the major intersection, they are building a half-mile long road in the middle of the property as a cut through. Click the link below or view the picture for more information on what to expect in this new shopping complex.